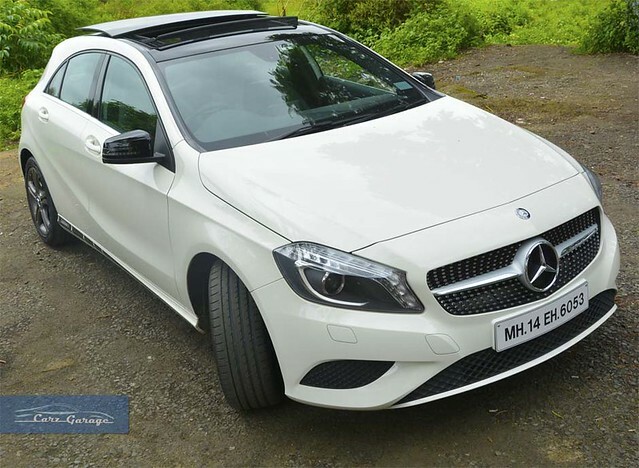 The Mercedes-Benz B-Class may be the first luxury hatchback introduced in India, but the smaller A-Class stole its limelight when it was launched in 2013. The compact car with its wide and low slung design attracted crowds like no other car could. The petrol variant was equipped with all the eye-candy features like a 302-piece diamond grille and a large panoramic sunroof while the diesel variant got no such features, even as an option. Well, now Mercedes-Benz has launched the A-Class Edition 1, which is available only with a diesel engine and is equipped with all the features found on the petrol variant. The exterior of the A-Class Edition 1 features the 302-piece diamond grille from the petrol car, the wing mirror housing is finished in high gloss black and the car gets ‘Edition 1’ decals on the side skirts. A large panoramic sunroof is fitted to the roof of the car. 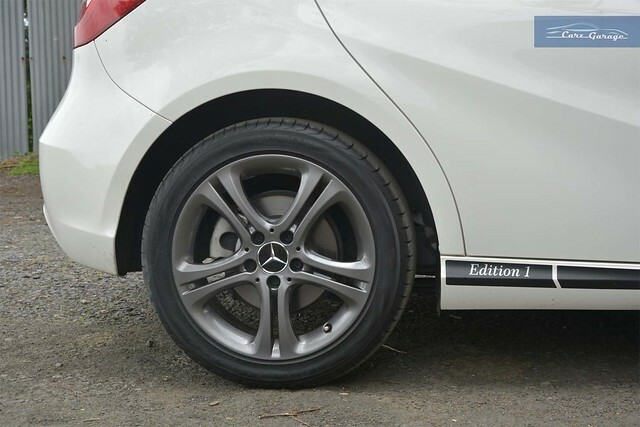 It now rides on new design 17-inch alloy wheels finished in grey and which feature black hub caps with the Mercedes-Benz star. 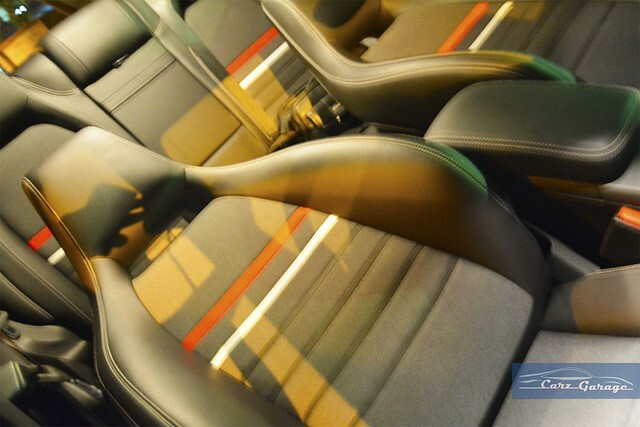 The interior gets black sports seats with contrast stitching and the rear seat bench gets a centre arm-rest. The front passenger seat is electrically adjustable with 2 memory pre-sets unlike the standard diesel car which gets a manually adjustable seat. The COMAND screen can be put to more use now as the car comes installed with a reverse camera. 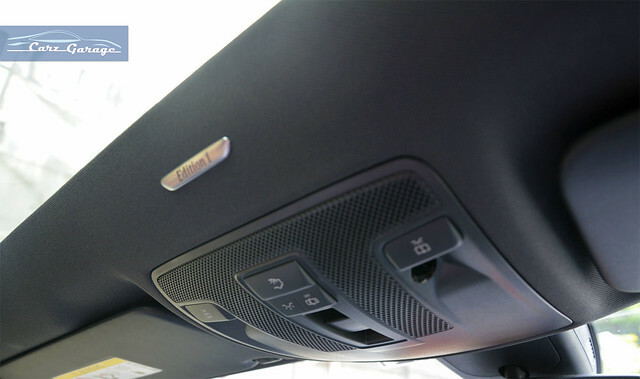 The panoramic sunroof is responsible for making the all-black cabin feel airy. Features still missing on this edition are reverse parking sensors and an automatic climate control system. There is an ‘Edition 1’ badge just above the inside rear view mirror. 7-airbags, ABS+EBD, Traction Control, Attention Assist, Hill Start Assist, Tyre Pressure warning, etc are all part of the safety package in the car. Mercedes-Benz has not tinkered with the power-plant and the 2.2-litre diesel engine produces 107-bhp and 250-Nm of torque. Power is transmitted to the front wheels via a 7-speed dual-clutch automatic transmission. Three modes are available: Eco, Sport and Manual and the gears can be controlled with the paddle-shifter located behind the steering wheel. Unlike the B-Class diesel, the transmission in the A-Class will hold onto a gear for a longer time in Manual mode before it up-shifts without your intervention. The biggest issue on the A-Class was the scraping of the underbelly on rough roads and speed-breakers. Mercedes-Benz has dealt with it by raising the suspension and thus increasing the ground clearance. The raised suspension has not affected the dynamics of the car in any way and it still handles confidently. 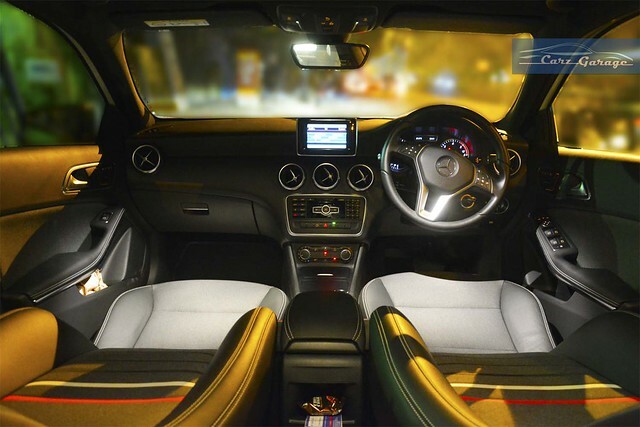 Low speed ride quality was never a forte of the A-Class and that has not changed with the Edition 1. Priced at Rs.26.17 lakhs (ex-showroom, Mumbai), the A-Class Edition 1 comes at a significant premium over the standard diesel car, but you do get a lot of features too. Mercedes-Benz was going to assemble just 100 units of the A-Class Edition 1 and they must have been all sold out by now. But all the features which are available on the Edition 1 car will now be available as an option on the standard diesel car. 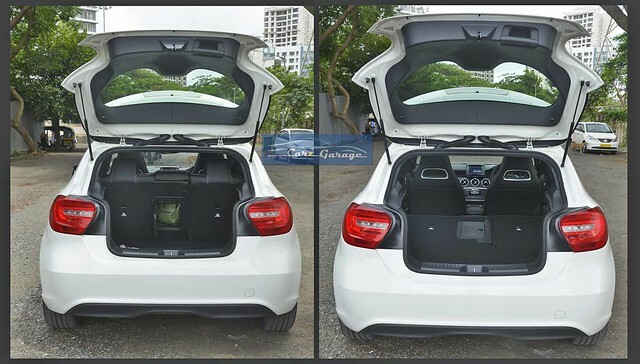 Competition check: BMW 118d hatchback and the newly launched Audi A3 sedan.